Thrift store donations are up significantly this year, and that’s largely due to a phenomenon created from some unlikely sources. 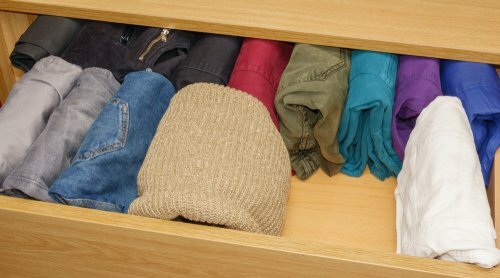 Netflix, the global video streaming giant, released a series called “Tidying Up with Marie Kondo.” This comes on the tails of a successful book by Ms. Kondo, who has become known as the expert in decluttering to bring joy to one’s life. 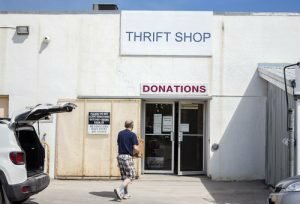 With thrift stores gaining inventory thanks to donations, this is also leading to added supply in the Mixed Rags market. Let’s explore why. Marie Kondo gained fame in Japan some years back, with the release of her book The Life-Changing Magic of Tidying Up. The book has since ben published in over 30 countries, and was released in the US in 2014. In the following year, Ms. Kondo was named one of Time magazine’s “100 Most Influential People.” Her guiding principle is a simple but powerful one: The things on our lives should “Spark Joy.” “If they don’t ‘spark joy’ in our hearts, as she puts it, then we should pause to acknowledge our memories together and let them spark joy for someone else.” That’s the essence of what’s become known as the “KonMari” principle. You can imagine how this idea of simplifying our lives by ridding ourselves of possessions quickly translates to donations to charities and thrift stores. When donations to thrift stores and charities increase, that creates a subsequent rise in the global supply of Mixed Rags. Mixed Rags are products that have gone through second-hand retailers and thrift stores and remained unsold, or were deemed unfit for sale. They are baled up and bought & sold in bulk, and usually make a journey exported to other countries. This is a win-win scenario, as the mixed rags are in demand elsewhere, and also they do not end up in landfill (the worst-case scenario as it is a drain on global resources). This is how mixed rags are beneficial in the Circular Economy, helping to alleviate the Crisis of Stuff (a worldwide epidemic of consume-and-dispose paradigms) by finding second and even third lives for items that no longer “spark joy” for their original owner. Some of the items remain intact and are worn again, while others are repurposed into different fabrics used in carpet padding, insulation, furniture more. As a global leader in facilitating the purchase and sale of wholesale mixed rags, Bank & Vogue is doing our part to alleviate the Crisis of Stuff and instead form a better Circular Economy. 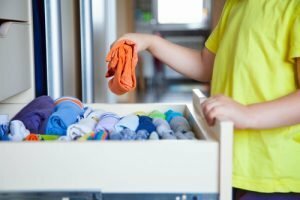 We’re glad to see that people are simplifying their lives and looking to donate items that no longer “spark joy” for them, but that can continue their journey and be utilized across a wide variety of people, places and functions. If you are a thrift store and are looking to sell mixed rags, contact Bank & Vogue today to find out what we can do for you.